what message would you like on line 1 if chosen? The perfect gift for a cheese lover, this contemporary slate platter can be personalised for an extra special touch. 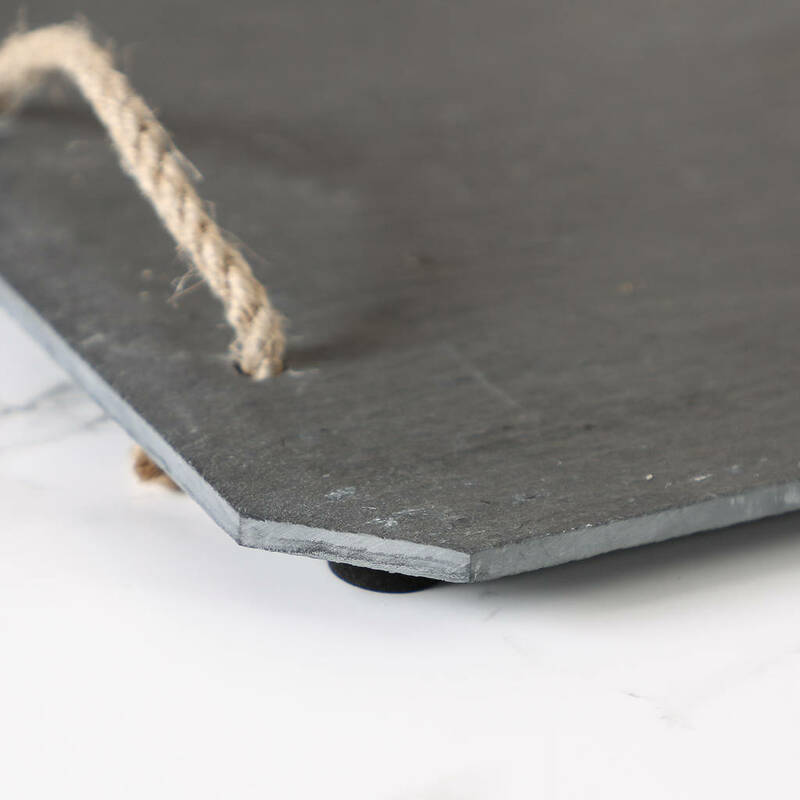 Made from natural grey slate with cut corner edges, the simple, yet sophisticated design makes this tray an ideal accessory for a modern home. Complete with two rustic rope handles so it’s easy to carry, and four rubber feet underneath that will keep the tray sturdy and protect surfaces from scratches. 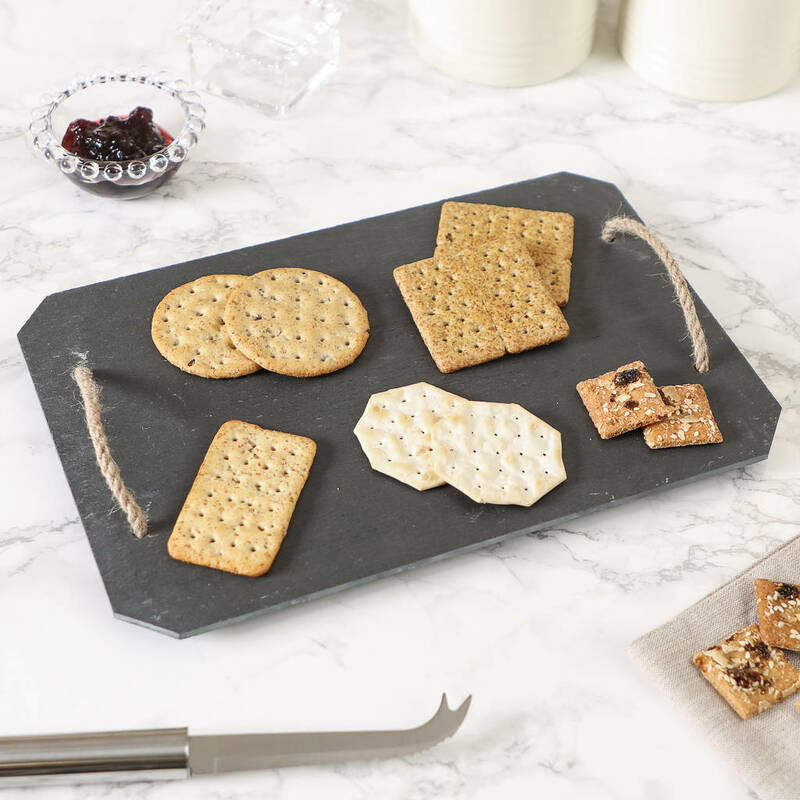 Ideal for serving cheese, biscuits and nibbles to guests at a dinner party, or a great couples’ gift to share a romantic meal together. 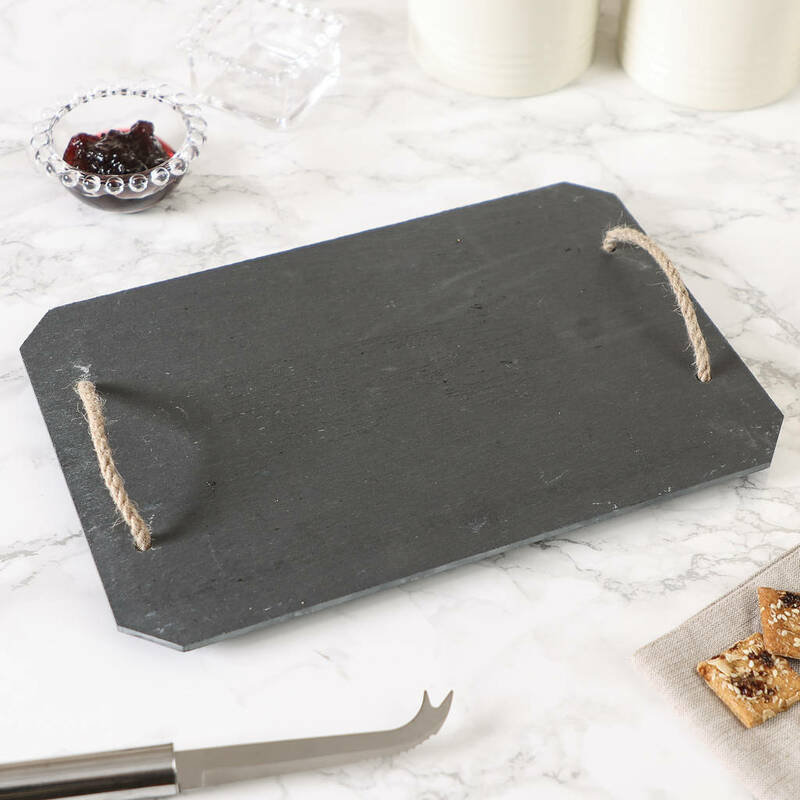 This slate cheese board will make a fantastic addition to your own home, and a thoughtful housewarming or Valentine’s Day gift. ENGRAVING – Exclusive to Dibor – Create a wonderful gift with a personal touch, using our traditional engraving service at the Dibor West Yorkshire Mill studio. 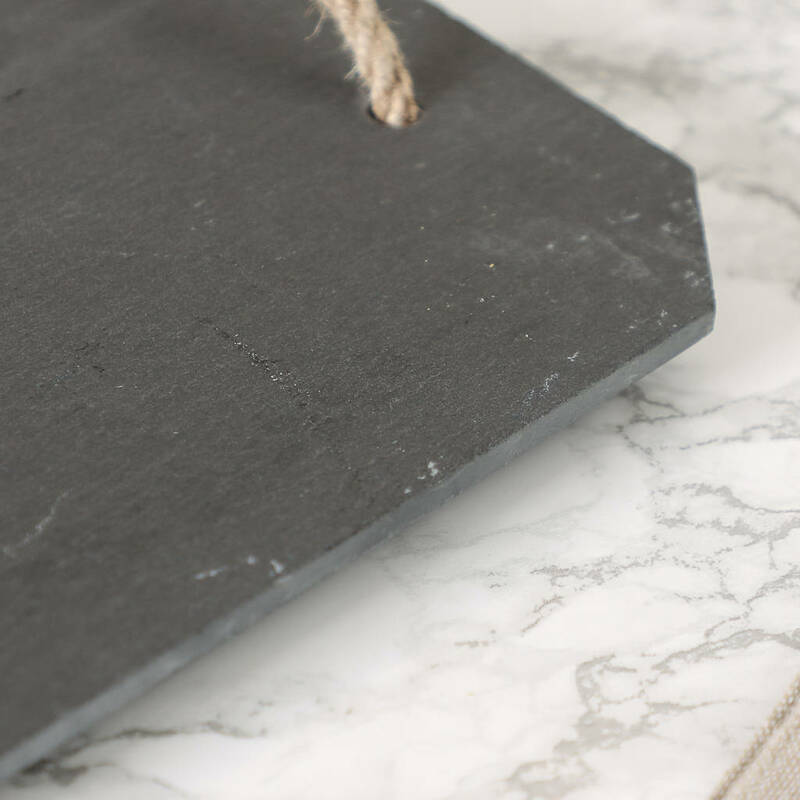 In a font that's exclusive to Not On the High Street, all engraving is carried out from beginning to end by our specialist team to create a truly special gift that's polished and packaged by hand. We’re confident we can meet – and exceed – your expectations for a truly luxurious, unique gift! 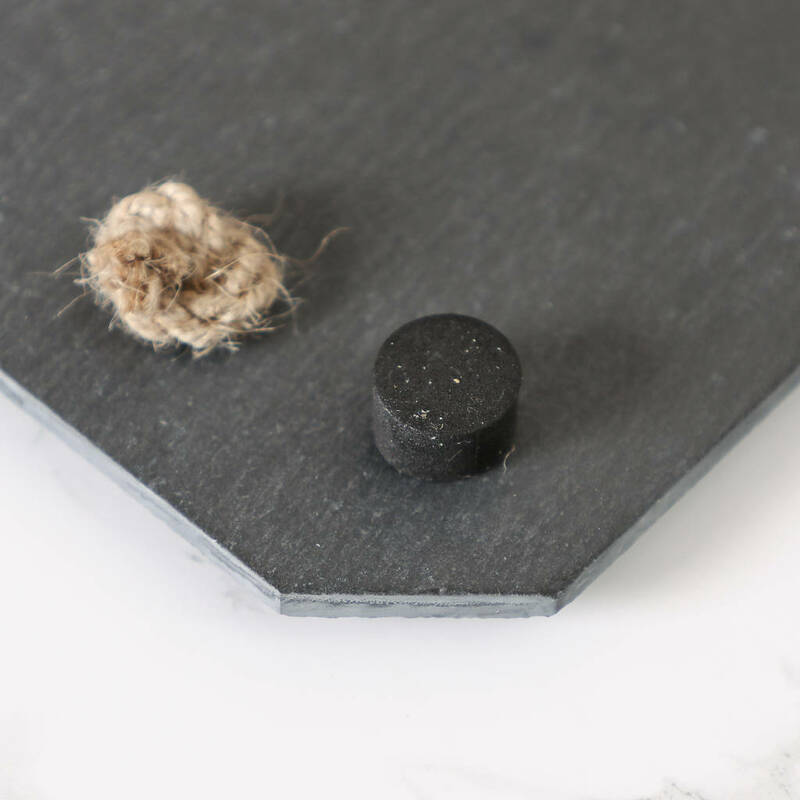 LUXURY GIFT BOX - Exclusive to Dibor – complete your gift with a one of a kind black gift box. 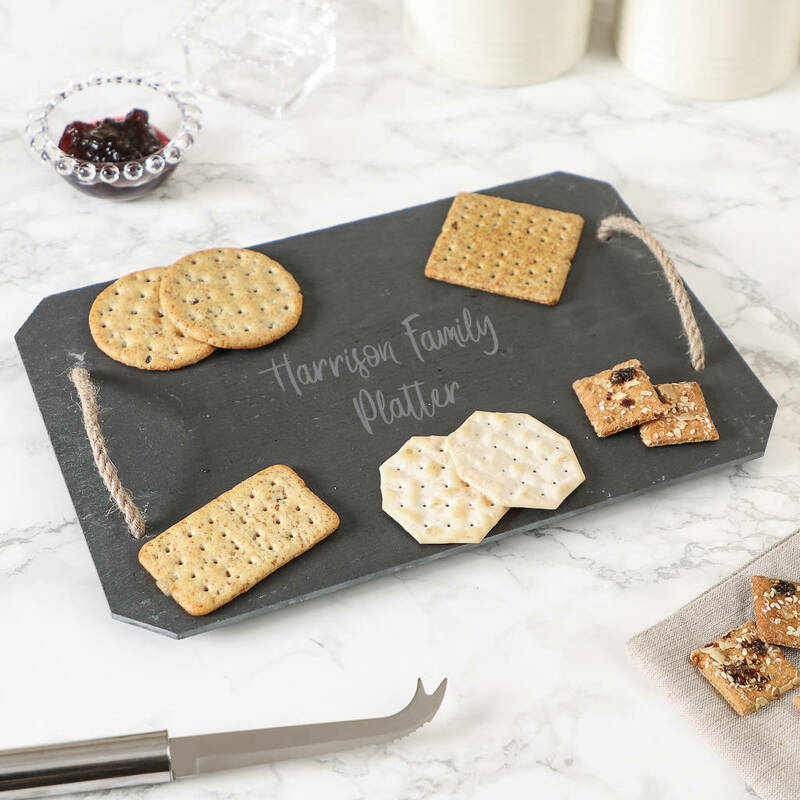 Made of strong, durable board, with a grosgrain ribbon fastener, this unique finishing touch is sure to raise a smile, and create a perfect keepsake that can be cherished for years to come. At Dibor, we believe in using only the finest materials, finishes and techniques. 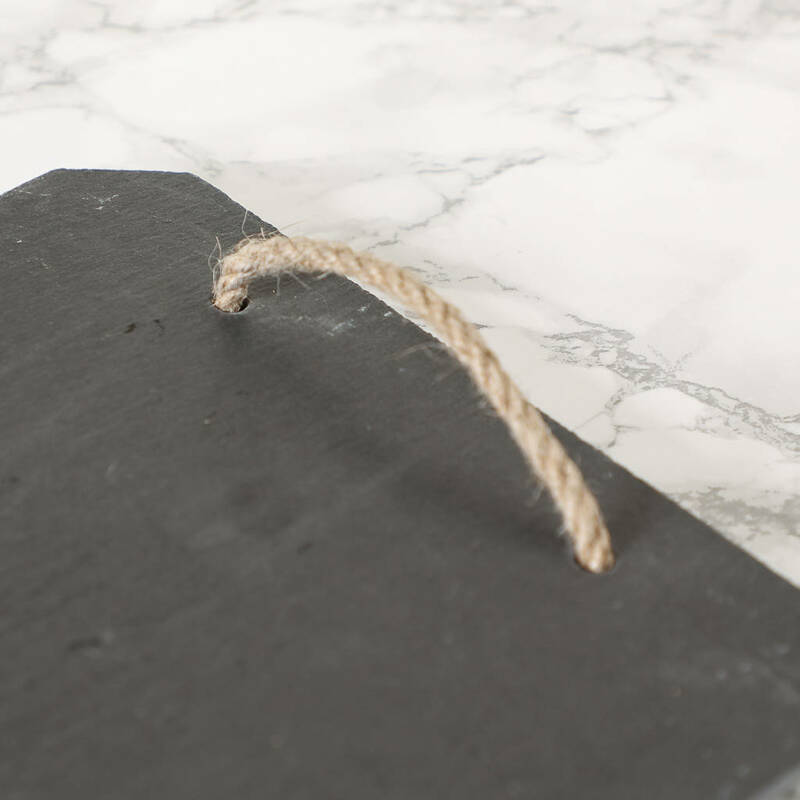 Brought to you from the heart of West Yorkshire, this tray is crafted from high quality slate and rope for a stunning result.